Though you may not be interested in the Smart Home movement yet, seeing little need in the various apparatuses that come with it, you may have a change of heart in the near future. Smart Homes hold certain advantages that you will soon not be able to overlook. Who doesn’t love to save a buck? A Smart Home can be defined by the presence of various interconnected devices, that are able to be activated and deactivated remotely considering their use. This means that you can remotely shut off devices when you are away from your home or even in another room, just by using a mobile app on your phone. There is a wealth of examples to support this claim. For instance: having a programmable thermostat will allow you to lower the heat or air conditioning when you are sleeping or to activate them on your way home to achieve the perfect temperature upon arrival. The programmable thermostat by Nest learns from your habits and, in just a few weeks, can automatically change the settings based on what it has learned from your preferences, thus giving you less thing to worry about and optimizing its functions to reduce unnecessary use. Lights, TVs and other electronic devices that can be used in your house or in your yard can also be used in the same way. For example, with a Smart Hub controlled by Wi-Fi, you can manage your sprinklers, deciding whether to activate them or not based on the data the built-in system acquires from the weather forecast. And, speaking of water and saving money on bills, you can install a leak detector on your pipes in the kitchen or the sink in the bathroom to avoid a ghastly surprise at the end of the month. Thanks to smart devices, you can avoid wasting precious natural resources, be more sustainable on a daily basis and get remarkable savings on your bills. Having people face the hard truth about their levels of consumption will really incite them to make changes to their overall habits. There are cool connected devices, such as the Efergy Engage Hub, that help you keep track of your energy and costs. Another advantage is, of course, creating a more secure home. Home security is not something for an elite group anymore, now everyone can feel safe from burglars and other types of perpetrators. Thanks to devices like surveillance cameras, which are either on all the time or activated when there is movement in the house or apartment, or even smart locks, which can open or lock doors remotely, creating a safe home environment is now easier than ever. Take Nest for example. The California-based company has its own Outdoor Cam and Indoor Cam to help secure your home. The outdoor camera records everything, not just when there is movement, with up to 30 days of video saved in the cloud. The companion app on your mobile phone won’t show you a constant feed, but rather show you a photo when the Cam sees either motion or sound to figure out if the visitor is friend or foe. Nest Alert can tell the difference between a person and the clanging of your front porch wind chime too. Not just that, there is a built-in speaker allowing you to talk to the person who is at your front door, scaring off those who wish you ill.
Other neat things a Smart Home can ensure: that the oven isn’t left on, the hairdryer isn’t plugged in or that lights are turned on while you are on that awesome trip to Thailand, giving the impression that someone is home. The Nest Indoor Cam, or any other security camera for that matter, can be placed next to doors and windows so that you will be notified if someone breaks in. Though, one thing to consider when setting up a secure smart home is of course ensuring that the system is protected against virtual hacking. An automated home can render your day-to-day life a lot easier: you can program your coffee machine to make an awesome cappuccino when your alarm rings, cook up the ingredients that your fridge notifies you will soon expire or monitor your kids when they are playing in another room. With the help of hubs like Amazon Echo and using its controls on your smartphone or by voice command, you can play your favorite songs anywhere in the house, check the weather forecast, change the color of your Philips Hue light bulbs, turn off all the lights in your house even when gone or lock the door in case you forgot. A Smart Home not only makes your life simpler and more zen, it can save you time and money. Though you may be young and spry now, there will be times when your old bones could profit from a more connected life. Smart Homes help the elderly and people with various diseases get the care they need and can even help most people with their overall health. There are cool products out there like smart mattresses that monitor your sleep, scales that keep track of your weight loss, smart thermometers and sphygmomanometers (for measuring blood pressure) to help keep track of your health. With the development of the Internet of Things, doctors can now monitor their patients remotely with smart bands, videos, patches and T-Shirts. The company Livongo, for instance, created a mobile phone that automatically uploads your blood sugar levels to the cloud, where patients, their doctors and families can access information and tips on how those affected can deal with their diabetes. With time, these types of devices will get better and become more widely used by doctors and patients alike. Chris Dancy, like many, believes in the benefits of connected living and its bright future (thanks to our editor Brittany for a great interview!). "The field of medicine has evolved to shift its focus from disease management to wellness. For technologies like wearables, Chris Dancy, the most connected man on the Earth, says the ultimate goal “is to create a world where people are focused on prevention.” He believes this could happen in about 30 years from now." Smart Homes have many advantages, some of which are immediately apparent, and others more noticeable over longer periods of time. Tapping into the Internet of Things means investing in technologies that will help you live, just like smartphones aim to do now. At the moment, the high cost of these connected Smart Home devices has been one of the reasons why sales have been dragging, plus there is the question of vulnerable security that concerns a lot of hesitant buyers, however, this is just the dawn of this new era. What do you think of the topic of Smart Homes? Have you bought into its wows and wonders or do you still belong to the dubious bunch? Let us know in the comments below. 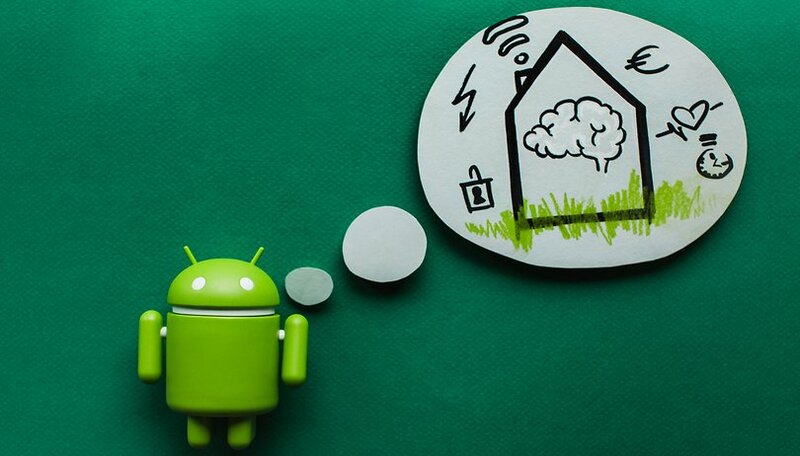 Why is AndroidPIT covering topics like Smart Homes? I love tech, & I love gadgets but as far as my home goes besides wanting a faster internet connection I will never "wire" my joint nor go the "smart home" route. And yes we own our home. Not cheaper, not more convenient, not secure, evesdropping your talk and not really interesting. I agree, I hate the idea of giving away my privacy for [in]convenience. Why are they pushing this like its a great idea?? Its the same thing with smart cars. I NEVER want a smart car, but all the tech wanna be demegogues push this stuff relentlessly down our throats! 1. Lack of standards. The thermostat doesn't interoperate with my lights nor my lock, nor my cameras. I need a separate app for everything which is a lot of hassle and wasted programming with IFTT if I'm lucky. 2. You're not in control. Anova changes the policy and people with sous vide cookers are out of luck on using their app without giving up more personal data. Or the company goes out of business or gets bought and support is dropped. Since the product relies on external servers, you're out of luck. 2.5. You don't have real privacy because all these companies are logging and collecting your usage. Doesn't sound like a smart home to me. 3. No forward path. In 5 years when bluetooth or wifi standards have evolved beyond AC, none of these devices are upgradable to the new standards. You have to maintain a legacy (less secure) wifi system to keep using them. Similarly, updates on older hardware is a known failure point. So the next heartbleed comes along on your product that is two years old and no longer getting support or updates. Smart products need an upgrade path for hardware and software and a serious commitment from the maker. On the smart devices I've tried, they don't support complex long passwords for example. I have to use less secure ones because the makers really aren't security minded. Two reason I will not do a smart home. 1 total loss of privacy 2 to easily hacked into.